So this doesn't happen often, but I actually received 2 sleeping masks at the same time...and so I figured: Why not do a comparison on these 2 new sleeping beauty heavyweights? Being a self professed lover of sleeping masks, there's no better time to test out the ForBelovedOne Melasleep Brightening Lumi Key Jelly and Vichy Ideal White Sleeping Mask and find out what makes them unique from each other! For Vichy's Ideal White Sleeping Mask, I found that it works on a more defensive way: by addressing skin's exposure to environmental aggressors that causes skin to create melanin and dehydrate in the process. By targeting skin’s self-repairing process during the night, the skin repairs itself in order to be able to perform its defence role during the day; by renewing, nourishing itself, replenishing lost moisture and eliminating toxins. While you sleep, this night concentrate helps to visibly reduce dark spots, even skin tone, keep skin hydrated for 24 hours and strengthen the skin’s barrier. At first glance, ForBelovedOne's Melasleep Brightening Lumi Key Jelly is the sum of all things brightening. 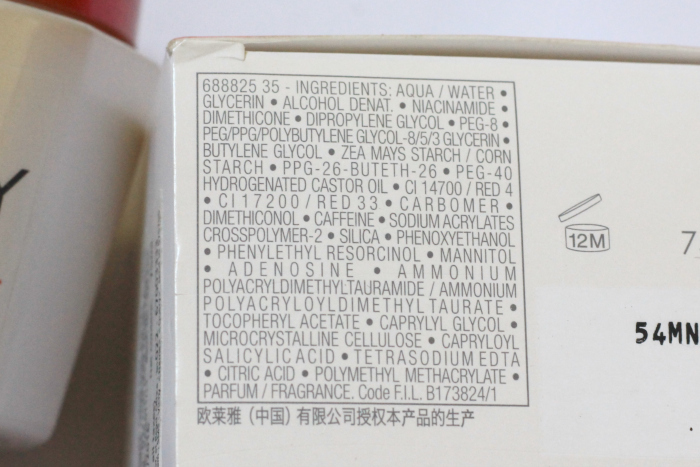 I see white rose extract and white wine extract; where the former has been found to have antiallergic effects for skin and popular whitening ingredient, while the latter for its astringent (pore refining) and anti-aging properties. Coupled with waltheria indica leaf (to inhibit Tyrosinase) and Chamomilla recutita flower extract (chamomile); the blend is both calming on the skin while keeping skin fair and clarified. Vichy's Ideal White Sleeping Mask on the otherhand, is powered by the exclusive Meta-Whitening complex of PhE-resorcinol (active ingredient for reducing discolorations), Ellagic Acid (a natural antioxidant), Adenosine (anti-irritant, helps cell communication) and LHA (to treat acne). Again hydration is the buzzword we are looking at, so the sleeping pack is infused with Vitamin B3 helps to even out skin tone and reduce redness, and Aquabioryl™ provide swift actining and resilient moisturization to booster the cutaneous barrier against dehydration. Argh this was a tight fight, and not picking sides this was a definite tie. To really put this to the test, I tested both sleeping packs on halves of my face. I found the Vichy Ideal White Sleeping Mask a tad heavier than ForBelovedOne's Jelly, and takes abit more time than the latter to be absorbed, before leaving a comfortable velvet layer. The micro-beads that you see suspended will break and mix with the soluble as I massage the mask into my skin, giving a double step boost to nourishment. Slathering a sparing layer still leaves my skin looking dewy, thus lending testament to its impressive hydration power. Has a sweet faint scent I like! While both serves the purpose of effectively brightening my complexion, its interesting to me how both brands took difference approaches to getting fairness! I'd personally suggest that if you have a drier skin type and is more prone to breaking out, I feel that the Vichy Ideal White Sleeping Mask can be give you that more specialised effect. Whereas if you have skin that has more redness and uneven skintone, ForBelovedOne Melasleep Brightening Lumi Key Jelly might be a better choice with its super calming formulation. Overall, whichever you choose, sleeping masks are now a must have modern beauty staple...and you will definitely not go wrong with these! Vichy Ideal White Sleeping Mask retails at $59Available at leading pharmacies including Watsons, Guardian, Unity and selected hospital pharmacies. Available at all Sephora outlets. Thank You ForBelovedOne & Vichy SG!